The interview of Alexander Petrov and Rulsan Boshirov, whom British authorities suspect of poisoning former Russian military intelligence (GRU) officer Sergei Skripal and his daughter, did not help ease tensions between Russia and the West. The British prime minister’s spokesman said that claims about the two visiting Salisbury for tourist purposes were "an insult to the public’s intelligence," while members of US Congress began even more zealously to discuss ways to turn up the sanctions pressure on Russia, Kommersant writes. 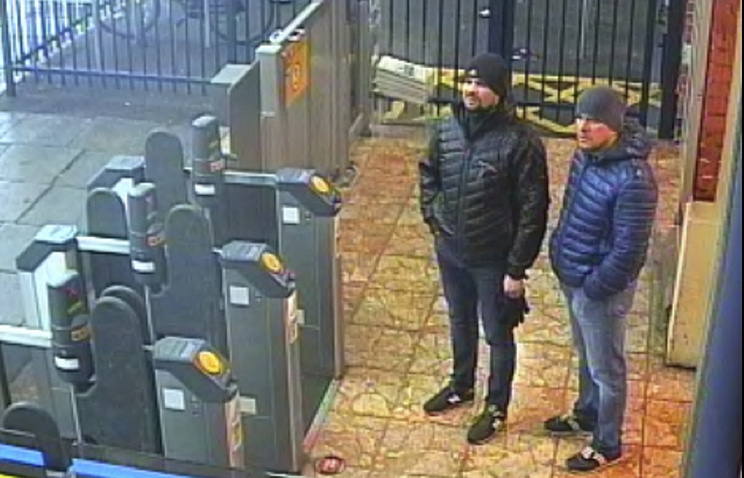 Journalists and social media users pointed to numerous questions that remained unanswered, particularly asking that if - according to British prosecutors - Alexander Petrov and Rulsan Boshirov are aliases, then why did the two men not demonstrate their Russian passports to prove London wrong? Leader of the Civil Initiative party Dmitry Gudkov told the Kommersant FM radio station that "this interview did not reveal the identities of Petrov and Boshirov." "Who are they? They claim to be working in the sports nutrition industry and export products from Europe - but from which countries, and what is the name of their company?" he added. An unnamed former law enforcement official told Vedomosti that Russian intelligence agencies must have found Petrov and Boshirov. From what can be seen the two interviewees do look very much like those in the photos released by the British police. However, everything else will be nothing but speculation. For instance, it is possible that they often travel to Europe not for tourism but to purchase fitness and nutritional products. There is no new information that could shed light on what happened, the former intelligence agent said. "The fact that the two Russians accused of poisoning the Skripals - and as far as I know they are ordinary businessmen - came to the RT news agency’s head and revealed the truth about themselves and their trip to London and Salisbury, is a blow to the sham concocted by British authorities," Andre Chanclu, the head of the France-Russia Collective association, told Rossiyskaya Gazeta. "All this hyped up story about an attempt on the lives of the former GRU officer and his daughter is kind of a provocation aimed at making the English and all the Europeans hate Russia. The Russia-hating circles are employing a proven method by layering lies and sometimes trying to make it all seem like the truth. I hope that the true organizers of the Salisbury commotion will be uncovered although I don’t have much doubt about who they are," Chanclu noted. 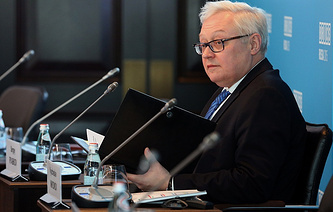 The most recent negotiations between Russian Energy Minister Alexander Novak and US Energy Secretary Rick Perry resulted in a formal declaration of intent to continue dialogue despite acute disagreements. Experts believe that given the ongoing confrontation, efforts to build any substantive dialogue are bound to fail, Kommersant wrote. While addressing a press conference following the talks, the top energy officials agreed that the two biggest hydrocarbon producers needed to cooperate with each other to effectively provide the world with energy resources. However, ways to boost cooperation remain unclear since the parties’ views on major sensitive issues are poles apart. In particular, Perry confirmed that the US opposed the construction of the Nord Stream 2 gas pipeline as it would concentrate two-thirds of Russian gas supplied to the European Union and thus harm Europe’s energy security. He also did not rule out that the Nord Stream 2 project and the entire Russian energy industry would be sanctioned. Novak, in turn, reiterated his concerns over "statements about sanctions against a totally competitive project that European consumers are interested in." Russian government officials interviewed by Kommersant placed great emphasis on Perry’s visit as it was the first trip to Moscow made by a high-ranking US official since April 2017, when Secretary of State Rex Tillerson visited Russia. Since then, bilateral relations have significantly soured and even a "pointless" visit would mean that the two governments continue to maintain relations and some communication channels, apart from military ones. "The logic of the talks is very traditional, it implies that even under unfavorable circumstances, there is a need to search for communication channels and, as it is often said, even during the Cold War, the parties acknowledged the need to maintain contacts on matters of mutual interest," Head of the Foreign and Defense Policy Council, Research Director at the Valdai Discussion Club Fyodor Lukyanov told the newspaper. However, in his view, even sincere efforts to establish contacts cannot succeed because in fact, the current state of Russia-US relations has little in common with that of the Cold War era. The expert stressed that even if mutual trust was increased to a certain level, Perry was not capable of implementing anything "for the US administration and Congress is politically focused on putting pressure on Russia so things will not change in the foreseeable future." Despite harsh sanctions, North Korea has weathered the storm and continues to develop quite well, Federation Council Speaker Valentina Matviyenko told Rossiyskaya Gazeta following her visit to Pyongyang. "Very severe sanctions are in place against North Korea, and they have been tightened recently. One would think that under these circumstances, development would be impossible. However, the country is moving forward. In particular, I have seen Pyongyang evolving," Matviyenko said. “There are entire new streets and blocks. There is state-of-the-art architecture, nothing dismal and drab. A taxi service has been launched in Pyongyang. The Won (North Korea’s) national currency is making great strides. Shops offer ample local products. The public’s looks and clothes have also changed," she added. According to the Russian senate speaker, North Koreans are very hard-working people. "They have endured tough times counting only on themselves and their abilities," she noted. "They hope that the peace efforts made by North Korea to launch a denuclearization process will be welcomed by the international community and the US, given that President Donald Trump signed the relevant declaration, and reciprocal steps will be taken," Matviyenko elaborated. "Severe sanctions failed to bring North Korea to its knees but when a dialogue based on mutual trust was initiated, North Korea came forward. The country’s leader Kim Jong-un is inclined to hold peace talks and bring North and South Korea closer together. He is not just inclined to do that, he has been taking practical steps in that direction," Matviyenko pointed out. The Russian senate speaker also said that in late September, Pyongyang would host the third round of high-level inter-Korean talks. She stressed that some changes had already taken place and needed to be enhanced. Matviyenko was confident that the international community should facilitate that process in every possible way, "just like Russia has been doing." "For our part, we support and welcome the US-North Korea summit, inter-Korean dialogue and the steps that Pyongyang has been taking," she emphasized. 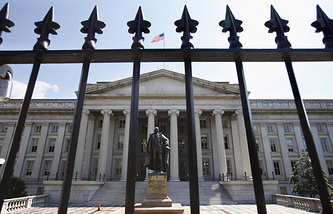 The US senate is mulling over a possible attack against Iran. According to Reuters, there is a new bill slapping sanctions on Shiite militias active in Iraq, who are believed to answer to Tehran. Experts say that sanctions will eventually be applied to all Iranian security agencies connected with any Shiite units. Some consequences of the growing US pressure have already become clear as Iran’s influence in South Asia is increasing, Nezavisimaya Gazeta writes. Last week, Washington expressed outrage over Iran’s missile attacks on the headquarters of the Kurdistan Democratic Party (outlawed in Iran) carried out in Iraq’s northern province of Erbil. The US Department of State said the operation violated Iraq’s sovereignty. At the same time, according to Washington, Iran may be behind the protests against worsening living conditions, going on in the Iraqi province of Basra. Experts believe that sanctioning Shia militants is a dangerous idea. "It may result in measures against all Iranian security agencies," head of the Islamic Studies Center at the Institute of Innovation Development and Russian International Affairs Council expert Kirill Semenov told the newspaper. According to the US media, in the wake of Washington’s pressure, Iran seeks to increase its influence in South Asia. In particular, it has been boosting ties with Shiite units and political parties in Pakistan. However, chances are that if Iran tries to use Shia units in Pakistan for political purposes, relations between Tehran and Islamabad may deteriorate. "Encouraging Pakistan’s Shiite groups is unlikely to harm the US, but may spark tension between Tehran and Islamabad," Semenov explained. "The Iranians do have such capabilities. For instance, the Zainebiyoun group consisting of Shia Pakistanis has been fighting on Bashar al-Assad’s side. However, Pakistan has just as much potential to use Sunni rebels against Iran. There is a whole community of Sunni rebels of various sorts active in Iran's Balochistan, on the border with Pakistan," the expert pointed out. The family of Russian businessman Viktor Bout, serving out a 25-year sentence in the United States, have gone through a visa interview at the US Embassy in Moscow in order to travel to America to see Viktor for the first time since 2012, the Russian’s wife Alla told Izvestia. "They told us that a decision would be made in 30 days. They cannot provide a date right now because we are supposed to be visiting an inmate. Besides, they warned us that we may have to provide additional information about the trip," Alla Bout said. She noted that according to the rules, family members could visit inmates no more than twice a week on weekends. "We hope we will manage to solve this issue so that we can have more time for visits," the Russian’s wife added. Meanwhile, Russian Human Rights Ombudsperson Tatyana Moskalkova told Izvestia that she planned to ask American authorities to allow Bout’s wife and daughter to visit him. "I need some additional information to file a request, as well as some documents. This is why Alla Bout has an appointment with me in the near future," she said. Bout’s wife believes that their first meeting with Viktor following his US trial will not take place until October since the American visas are unlikely to be issued sooner.